My name is Sacha and I live in Sydney, Australia. Just before my 18th Birthday, I started writing a book that would help empower young people with the motivation and life skills to find their passions and follow their dreams. In the two years that followed, I gave the initial manuscript to 15 people to read, adjusted the book with their feedback, and went through a total of 11 major edits. 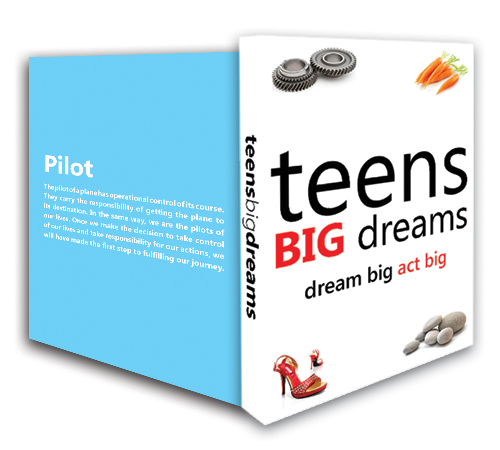 And then in 2010, I designed the book, created a publishing company, and went on to publish my book – Teens Big Dreams. Recounting this process in a few sentences makes even me believe that the journey was that simple. But the truth is, it wasn’t. It was probably one of the most challenging and demanding initiatives that I ever pursued, but also one of the most rewarding. I have an inherent belief that as much as we face some serious global problems that need urgent attention, we live in one of the most opportune times ever. No matter how small or big our dream is, we as people, have the collective resources to achieve it. So what can we do to achieve our dream? I think that in many ways we can funnel everything back to two things. The first is to accept that we will not play the victim of our life circumstances and the second is to take action. By taking the first step, we will let go of all that has happened (and that may be happening), giving us the peace and ability to realise that it is we who control how we react to the happenings of the world. Yes, there are many things that happen contrary to what we may want or desire, but ultimately it is up to us, as individuals to decide whether we let circumstances or other people detract us from our higher goal and dream. Once we have taken this first vital step, the second step of action will give us the momentum to make our dreams come true. Of course there are many other parts to following one’s dream. Using the Chopping Board, hard work, persistence and dedication all come to mind. But these will all naturally come once we start taking action on our passions and dreams. Teens Big Dreams was my dream. What is yours? Find It. Believe in It. Follow It. I want to share with you a post from an absolutely amazing website called ‘To Write Love on Her Arms’. To Write Love on Her arms (TWLOHA) is a non-profit movement dedicated to presenting hope and finding help for people struggling with depression, addiction, self-injury and suicide. Music plays a huge part in raising awareness about TWLOHA and vital money is raised through concerts. The below post was written by a user of TWLOHA to mark Eating Disorder Awareness week. It does refer to self-harm and eating disorders- so if you feel this may be triggering to you at this time, perhaps you should wait until you feel safer to read it. 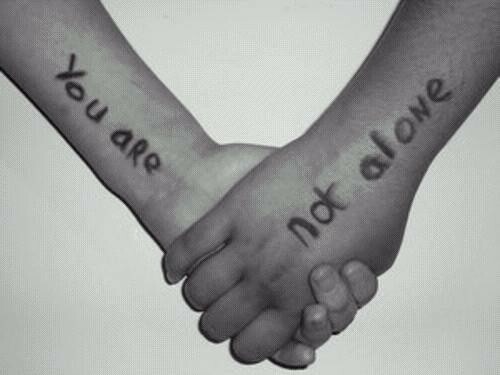 Everyone suffers from depression at some stage- even those who look like they have it all! Some people find it reassuring to see that someone they admire has gone through a similar experience to them- so when you feel like you’re the only person who has ever felt so crap- remember some of the famous names below. Winston Churchill was famously plagued by his “black dog” and was recently voted the top British prime minister of the 20th century. Other famous politicians believed to have been affected include Abraham Lincoln and Oliver Cromwell. Vincent van Gogh was famously troubled as well as superbly gifted. So were Ludwig van Beethoven and Isaac Newton. How much might their depression have contributed to the characterisation and art of writers like Edgar Allen Poe, Evelyn Waugh, Sylvia Plath and Ernest Hemingway? A clown is a sad person who makes us laugh. Tony Hancock, Spike Milligan and John Cleese are famous “clowns”. Spike Milligan wrote a bout his struggle with bipolar affective disorder (“manic depression”) and John Cleese co-authored an accessible, useful book with family therapist Robin Skynner, called Families and how to survive them. Irish comedian Des Bishop has also spoke of a battle with depression, as has Stephen Fry who has a well-documented battle with Bi-polar disorder. Despite having glamorous lifestyles and being feted the world over, celebrities such as Natalie Imbruglia, Elle Macpherson, Brooke Shields and Sheryl Crow have all experienced depression. Britney Spear has had a well documented battle with Bipolar-disorder, and Amy Winehouse is infamous for her drug addiction, self-harm and eating disorder. Here is a video I have put together using pictures and artwork from two great websites www.thresca.com and www.avinashblog.com. Copyright for these pictures do not rely with me- I am simply highlighting a great artist’s website and would recommend you to check it out- and support someone who is doing a great job!